This is my first post! 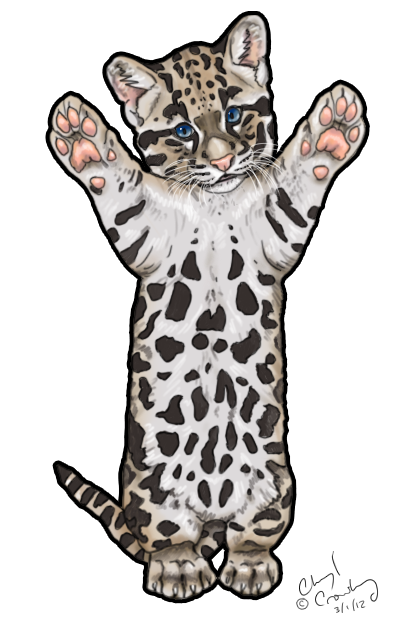 Here is a cute clouded leopard drawing I made! Well, hello there. I was on WordPress, typed in “Red Fox,” found your sketch, and said, “Hey, I know that person!” I watch you on DeviantART. 🙂 It’s kind of coincidental that I just happened to run across you just as you started a blog! I’ll be following you, though! Wow, someone already found me. Thank you for following. I’m still learning how to do this blog. Hey, this is a great picture, I bet this would look great in a child’s rooms. Can’t wait to see more of your work!! !